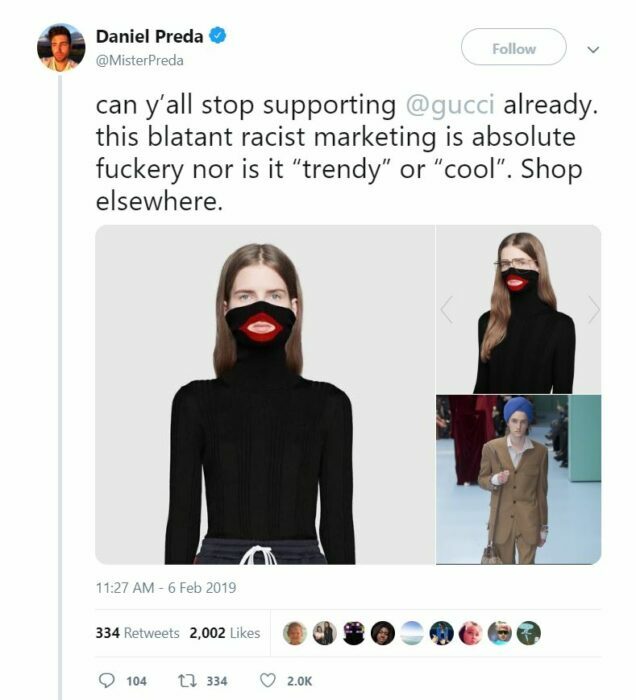 It is 2019 folks but seems like Gucci mistook it as the 19th century. Everyone has to face situations in their life when things really do not turn out to be as you expected it to. In short your plans getting backfired. Something similar was recently experienced by the international brand of fashion, Gucci. The world of fashion has become used to controversies – some made an exceptional impact and some get controlled easily. 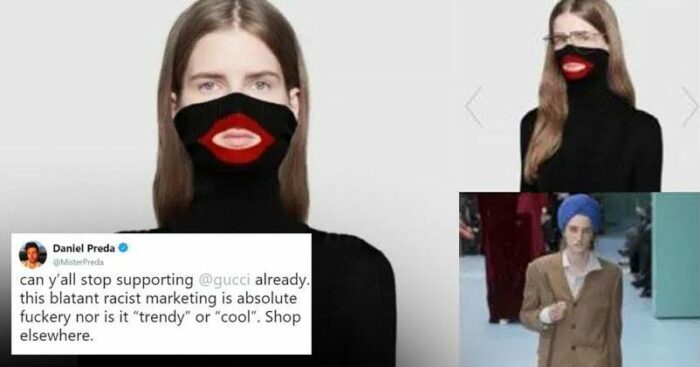 While the world is still recovering from the Dolce and Gabbana’s racist ad campaign, luxury brand Gucci was blasted on social media. 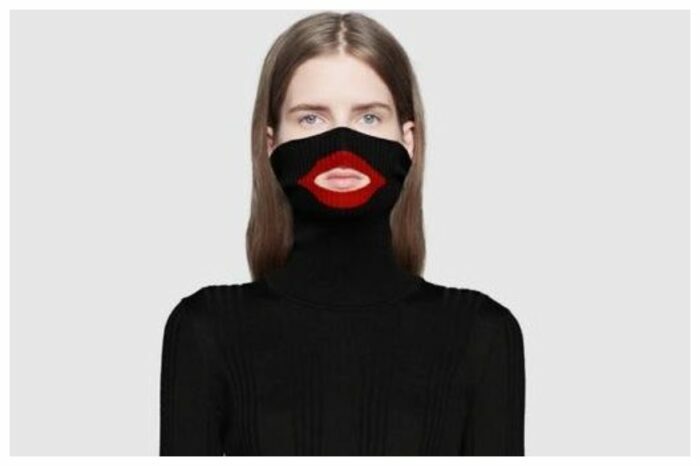 Recently, luxury brand Gucci launched a distinctly new sweater of $890 value called The Balaclava Knit in its Autumn/Winter 2018 collection. Sadly, it reminded people of blackface (it is a form of theatrical make-up which was used by non-black performers in the 19th century to represent a caricature of a black person). The sweater covers the bottom half of the face with a large cut-out at the lips area with the patch painted red. 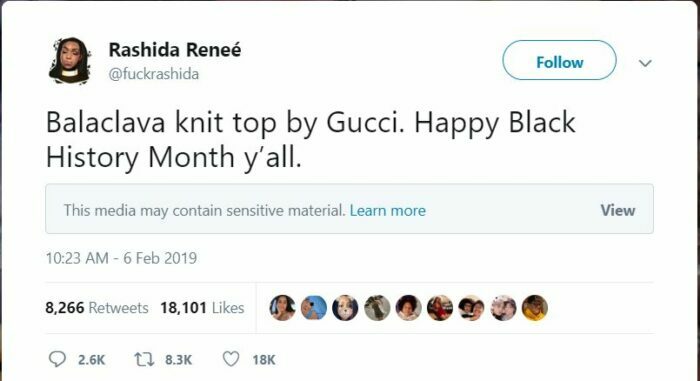 Coincidentally, the sweater was launched during the Black History month. Talk about the timing! And thus, the rage was created. Being ethnically responsible and inclusive in fashion is what the fashion world must work towards achieving. 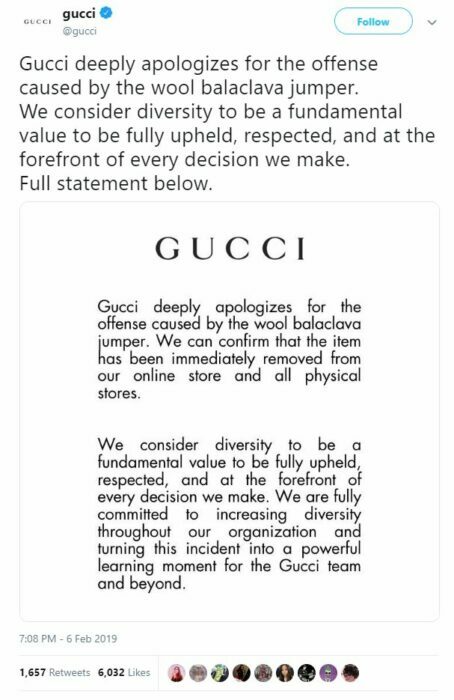 At a time when other brands are giving a platform to even the transgenders to showcase their talent at New York Fashion Week, here Gucci destroyed all the inclusivity which they should be learning for future ads. The year has just started and incidents as such are very demeaning for both the brand and fashion world together. The brands should be responsible enough to analyze the consequences they could fall into after launching of each of its products.